Join me in Evergreen, Colorado, this December 5-6 where I’ll take you under my wing as your personal writing mentor and coach. Whether you’re a beginner or you already have a few articles under your belt, you’ll return home with all the skills you need to “level up” from where you are now to be a successful published and paid travel writer. With a little extra push, I can easily transform “newbie” writers into long-term successful freelancers – writing stories so good that editors look for them in their inboxes. I’ll personally show you how to achieve these goals in a 2-day intensive workshop this winter. It’s going to be a very small, intimate group of just 10 participants, which will allow me to completely focus on you as an individual and give you the tools you need to become a top-notch travel writer. Let’s take you to the next level – where you’re not just sending query letters or getting published every now and then, but where you’re instead an in-demand travel writer with regular assignments, paychecks, and travel lined up. 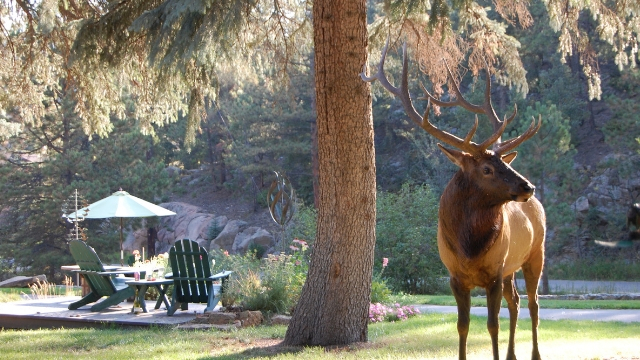 Location: You’ll write and edit your work at the historic Highland Haven Creekside Inn in Evergreen, CO. The inn itself is one of those places you may never want to leave; Tucked well away from the road, the upscale yet still rustic cabins and lodge rooms sit along the creek and are surrounded by forest. Highland Haven is just minutes from downtown Evergreen, an appealing mountain town packed with family-owned shops and top-notch restaurants perfect for exploring as the basis for your travel stories. Legendary Red Rocks Amphitheatre is just a 20-minute drive away, and the area is a snowshoer’s heaven in December – just keep your eyes peeled for the herds of elk and moose famous for using the same trails. In addition, Denver is an easy, 40-minute drive away along the interstate.